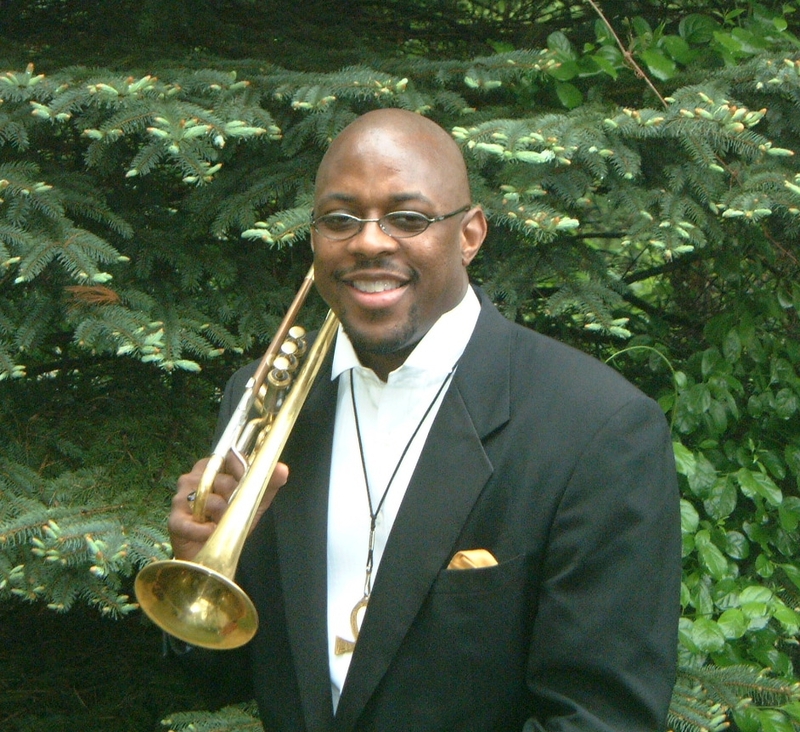 Trombonist, composer and bandleader Reginald Cyntje, proving to be one our D.C. area young masters, has now covered all the bases in attempting to capture the essence of our most important emotional and physical environments with his last two recordings, last year’s “Love” and now this year’s “Elements of Life,” just released this week on his own Reginald Cyntje label. Helped mightily again by a superb core of musicians, including Allyn Johnson on piano, Brian Settles, soprano/tenor sax, Herman Burney, bass, Victor Provost, steel pan, Amin Gumbs, drums and Christie Dashiell, vocals, Cyntje has fashioned a solid work of entertaining compositions. But before going further, note Cyntje’s advice in the liner notes, “Before reading, I suggest closing your eyes and listening. Let your imagination paint a vivid picture.” His latest CD certainly achieves musical pictures most of all, some more vivid and innovate and lively than others, but all of them mosaics of note. The title tune brims with Provost’s steel pan on Cyntje’s island-flavored melody and Dashiell’s vocals provide a panoramic opening for some sparkling, brightly melodic work by Johnson on piano. Then Settles, our esteemed home boy saxophonist and educator, delivers some spurting lines to spice the tune along, followed by Cyntje with some bravura lines with the mood then flavored again by Provost’s ringing raps. A highlight of the CD is “Sky,” a drifting, dreamy piece then spurred by Settles’ soprano sax soaring and Cyntje’s warbling trombone and then Cyntje leading the tune into a slow then faster waltz, with Johnson on piano helping develop more lyrical flow and the tune turns into a romp with Provost’s steel pan whipping things along. “Fire” is a burner from the beginning over Dashiell’s wordless, arching vocals, with Provost and Gumbs the engines of rhythm and melody, in an ultimately furious ride, brightly accented by Johnson’s runs on piano and Cyntje’s urgent trombone lines and Settles’ sax work. “Wind” fittingly blows along breezily with Johnson again providing bristling melodies. “The Aftermath” is a quiet retrospective, restating some predominant moods and themes and “Earth Revisited” seems to go a step further in developing the elements, recalling emotional flights, led by Dashiell and Settles on sax, to complement/ease our earthbound fixations. Cyntje says “In September of 2013, I began meditating on the relationship between the human spirit and elements of life. The Omnipresent Supreme Being in Fire, Earth, Sky, Water, Wind and every living creature. 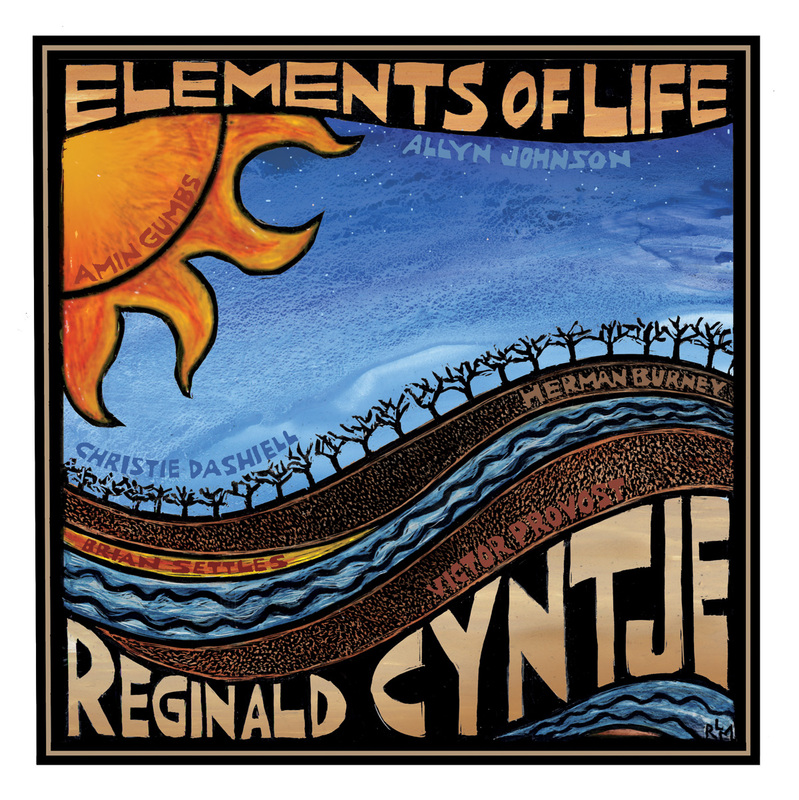 But, see www.reginaldcyntje.com for his complete liner notes and listen to the “Elements …” to see what prevails for you. 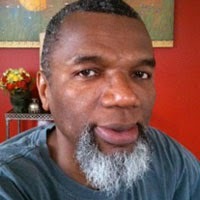 Among the upcoming events to look out for, multi-dimensional bassist Michael Bowie presents his “Michael Bowie plays Mingus” show Friday, April 25 at Westminster Presbyterian Church, followed by the discussion/meeting the next day, Thinking about Jazz/Mingus Speaks!, April 26, at Westminster. Transparent Productions brings virtuosic, edgy pianist Matthew Shipp back to Bohemian Caverns Sunday, April 27, for shows at 7 and 8:30 p.m. See www.bohemiancaverns.com for more information. And coming up Monday April 28 is the Calvin Jones Big Band Jazz Festival at the University of the District of Columbia featuring jazz ensembles from Howard University, the University of Maryland and UDC. Tickets are $20 general admission, $15 senior citizens and $10 students for the concert at the University Auditorium—Theater of the Arts/Bldg. 46-East. A couple of days later on April 30 Nasar Abadey’s SUPERNOVA Chamber Orchestra, a 10-piece group promising “a mix of jazz, bebop, fusion, Afro-Cuban, Afro-Brazilian and free form,” comes to the Millennium Stage at the Kennedy Center — free! — on the international Jazz Appreciation Day to help cap Jazz Appreciation Month. Early May highlights include Christie Dashiell at Loew’s Madison Hotel May 2, the Michael Thomas Quintet at Westminster Presbyterian Church May 9; Azar Lawrence May 9-10 at Blues Alley, and Terence Blanchard May 9, the Robert Glasper Experiment May 10 and Blue Note at 75, The Concert, May 11, with those events at the Kennedy Center helping to celebrate the 75th anniversary of Blue Note records. The Blue Note at 75 concert is to feature “artists from the iconic label’s present and past roster … [including] Norah Jones, Jason Moran, Wayne Shorter, and others, including special guests…” See www.kennedycenter.conm for more information. The title track, Woods says, is “a flute propelled shuffle blues,” inspired by a statement attributed to King Solomon: “We have been taught the language of birds …” and is a tribute to all the great “ancestral masters” of jazz. “Water Bird” is a floating treatise utilizing a Native American handmade flute. “Choctaw Jane” is a soprano sax melody dedicated to Woods’ grandmother. “Barack,” is a catchy melody written upon the election in 2008 of our current president. Other tunes reflect Woods’ long and varied career, including “Twelve Oh One,” performed by the band Charles Woods and Jazz E! when opening a concert for McCoy Turner in D.C. back in the 1980s. Recorded in Accokeek, Md., Woods says he prepared for “The Language of Birds” recording by playing solo concerts at an organic food market sponsored by Freedom Manor, a black historical site in Fort Washington, Md. “The Language of Birds” is then fittingly an organic outgrowth of Woods’s dedication to the innovation and heritage of the music and well worth a listen, as we all need meditation in these trying times. See www.rahmatshabazz.com for more information. 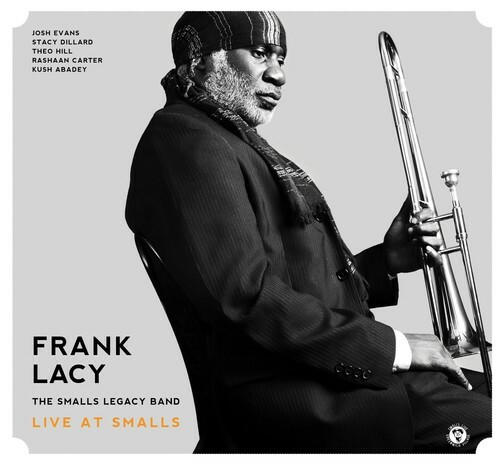 Veteran trombonist Frank Lacy and friends gets a steady boost from young lion drummer Kush Abadey on “Live at Smalls,” by Frank Lacy & The Smalls Legacy Band on the Smalls LIVE label. Abadey, son of Washington, D.C. area percussion maestro Nasar Abadey, has firmly carved his own space on the scene in the last few years. Now of Brooklyn, Abadey helps power the CD throughout, beginning on the opening romp, “Stranded,” highlighted by horn men Josh Evans on trumpet and Stacy Dillard on tenor sax. 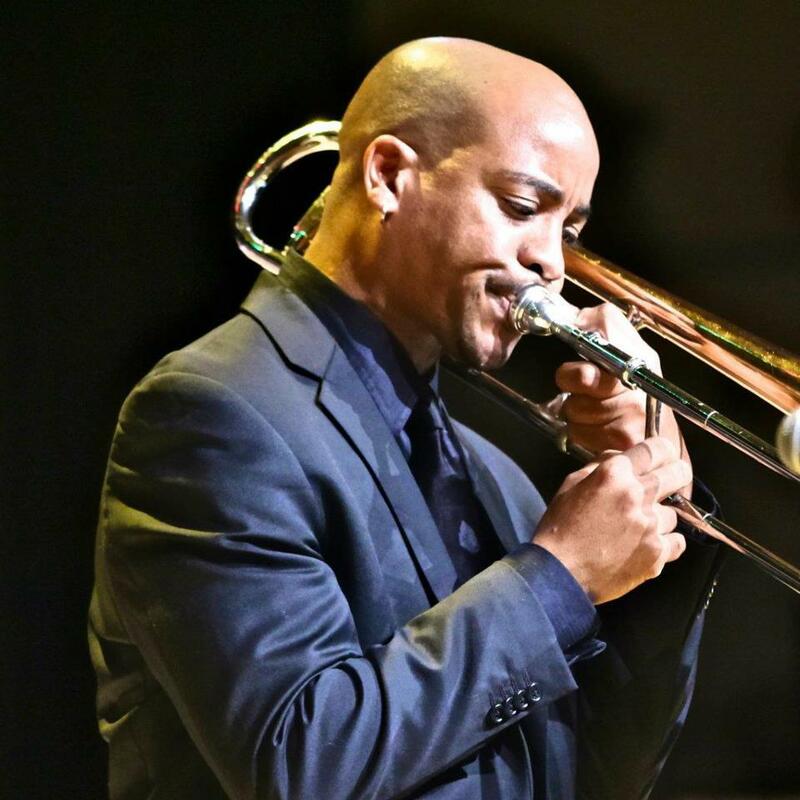 Lacy and company deliver, with pianist Theo Hill and bassist Rashaan Carter — another young lion D.C. product as the son of veteran saxophonist and bandleader Russell Carter — more than complimenting their cohorts. Hill streams a light-fingered, brightly lyrical efficiency on “Stranded” and “Think on Me,” in particular… Evans and Abadey also sparkling in pushing the spontaneity, with harmony by the horns leading the melodies on all tunes. Lacy’s “Spirit Monitor” shines with Hill leading the way on his elegant keyboard runs, accented by Abadey’s cymbal work, and augmented by Lacy’s strident vocals. A straight ahead blowing session is capped mightily by Freddie Hubbard’s “Intrepid Fox,” with Evans, Dillard and Hill smoking over Carter’s vibrant bass work and Abadey’s pulsating drumming. One highlight is “I’m Born Again,” O’Neal’s rippling joyfulness backed ably by Paul Sikivie on bass and Charles Goold on drums. Another, showing off his touch and wit, is “Uranus,” the Walter Davis tune, with O’Neal also showing off some edgier, racier runs with the melody. “Goodbye” is an inventive work of elegance by O’Neal as well, as is “Sudan Blue” with its swinging, bluesy touches. Born in Detroit, O’Neal moved to New York City to perform with Clark Terry in 1981, and also landed a regular job at the Blue Note, according to Smalls LIVE information, accompanying such greats as Dizzy Gillespie, Ray Brown, Nancy Wilson, Joe Pass and Kenny Burrell. He was a member of Art Blakey and the Jazz Messengers for two years from 1982-1983 and made his Carnegie Hall debut in 1985. In 1998 he was inducted into the Alabama Jazz Hall of Fame and on the recommendation of Oscar Peterson, O’Neal portrayed Art Tatum in the 2004 movie “Ray.” See www.smallslive.com for more information. Ready for some Humblebrag? You can catch it live at Blues Alley Monday May 12, in all its swinging glory. It’s a stop on the CD release celebration tour of bassist/composer Michael Feinberg’s recording “Humblebrag Live at 800 East” on the Behip Records label. The recording, with Terreon Gully, drums, Godwin Louis, alto sax, Billy Buss, trumpet, and Julian Shore, piano is a hard-hitting, blowing session of its own, complete with soul and funk backbeats and melodies. The title tune “Humblebrag” rolls on Gully’s thumping drum work underneath and Buss’ sweet flying and then searing trumpet lines and Louis’ fluttering work on alto, with bass man Feinberg mixing things up with his own inventive melodies. Shore’s piano work, a weave of incisive lyricism, highlights “Tutuola,” and “Puncher’s Chance” is a spurting, hypnotic rocker spiced by the horns’ in and out harmonies and ad hoc squeaks and squeals, Shore deftly driving the melody with his simpatico ripples on the keyboard, above Feinberg’s deeply bluesy throbs on bass. “But the Sound” is a highlight, diverging from straight jazz/funk/swing/blues with a spacey liftoff by the horns, then a mélange of individual players creating streams of innovative lyrics on their own amid intermittent harmonies and solos. The recording’s promo material says the term humblebrag means “subtly letting others [know] about how fantastic your life is while undercutting it with a bit of self-effacing humor.” Feinberg, from Atlanta, with degrees from the University of Miami and New York University, is always wry with his bass work, and the funky flights of “Live at 800 East” are always grounded in jazz, partly owing to Feinberg’s years studying Elvin Jones and from Feinberg’s own Elvin Jones Project band. Of his band members’ interplay, Feinberg says, “We all have defined roles but it’s in flux and they can change at any time.” The fluxis an engaging sound on “Live at 800 East.” At Blues Alley, Feinberg is to play with Shore, Louis, trumpeter Jason Palmer and drummer Dana Hawkins. For more information, go to www.bluesalley.com or http://www.humblebrag-band.com. Congratulations to Bobby Hill Jr., producer, programmer and former program director at WPFW-FM (89.3), who has always been a local hero and is now recognized as a national one, with the recent announcement of his selection as one of the Jazz Journalists Association’s 2014 Jazz Heroes. Among Hill’s achievements in promoting the music, he has spearheaded the Transparent Productions jazz shows at Bohemian Caverns and other venues since 1997, with the Matthew Shipp Trio Sunday, April 27, followed by shows featuring Mark Taylor’s Secret Identity, May 11, and The Bill Cole Untempered Trio, May 18, at the Caverns. Go to www.bohemiancaverns.org or www.transparentproductions.org for more information. The Jazz Hero’ awards, made annually on the basis of nominations from community members, are presented in conjunction with the JJA’s annual Jazz Awards honoring significant achievements in jazz music and journalism and with the month-long celebration of JazzApril. For more information, go to http://www.jjajazzawards.org. Steve Monroe is a Washington, D.C. writer who can be reached at steve@jazzavenues.com and followed at www.twitter.com/jazzavenues.